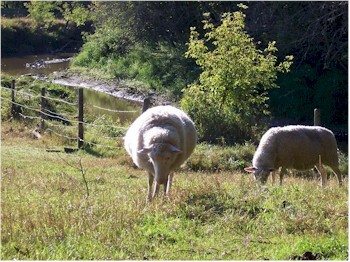 Nature's insulation, Canadian Wool is well known for its warmth and durability. It will keep you warm and dry; wool absorbs up to 30% of its own weight in water without feeling damp. When felted, it becomes wind resistant and will not tear or fray. The success of Seine River Shepherds' garments comes by combining a lifetime of fiber art experience with 20 years of breed selection. 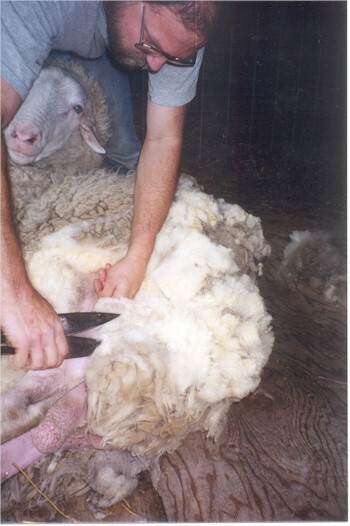 Each year we carefully sort our wool to ensure that only the finest quality is used in our garments. Solange produces the felt for all her work using the wool from the family sheep flock. These garments are lightweight, warm, and comfortable to wear. The natural, rugged designs have been developed by and for people who live and work outdoors. Each piece is 100% wool felt that is preshrunk and machine washable. The unique characteristics of felt will keep you comfortable in the most demanding conditions.